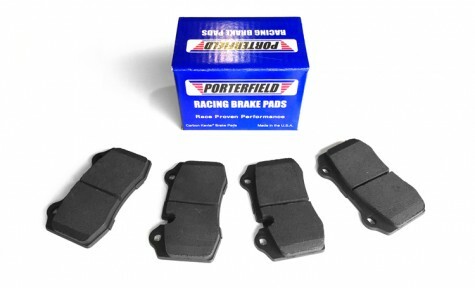 The Porterfield R4-S Brake Pads offer a high performance compound for the street. The pads offer a friction rating of 0.41 and are great for everyday use, while offering amazing stopping ability without fade. One of the most appealing attribute of the pads is that the compound offers the lowest dust and noise levels. Sold as a set of 4 pieces. Does not fit V8 Vantage S.